Couples requesting Baptism for their children must be registered members of St. Thomas the Apostle Church. A baptism preparation session must be completed before a baptism date is set. Please call Fr. Tom in the parish office to make an appointment. 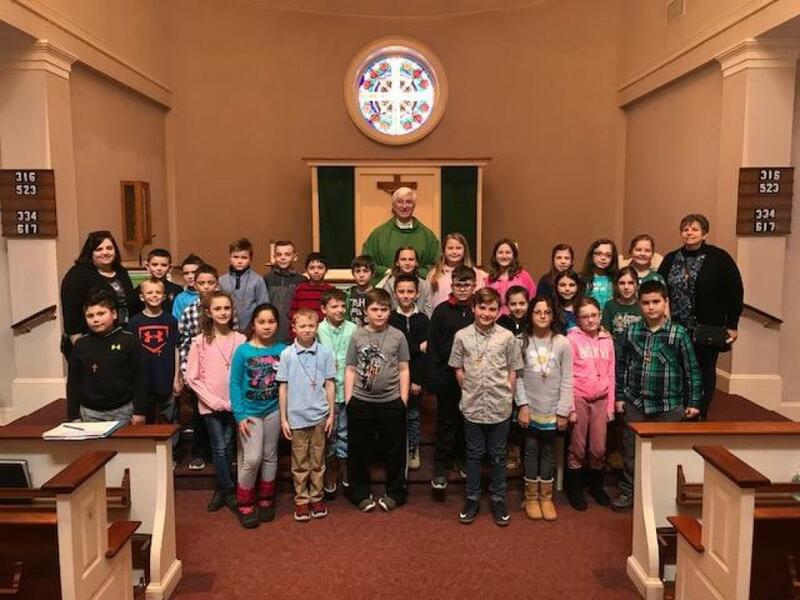 The Sacrament of First Reconciliation is celebrated in the fall of 3rd grade and the Sacrament of First Eucharist is celebrated the following spring. Attendance at the Generations of Living Faith monthly events, parent and child meetings and a retreat are prerequisites to receiving the Sacrament. Previous faith formation in 1st and 2nd grade is required. Confessions are heard every Saturday before the Vigil Mass - 3:00 PM to 3:45 PM during our winter schedule - 4:00 PM to 4:45 PM during our summer schedule) or by appointment. The Sacrament of Confirmation is celebrated in the fall after a preparation program beginning in the 9th grade. Eligibility is determined by regular attendance at the Generations of Living Faith monthly events. According to Canon law, marriages are to be celebrated in the parish church of the bride or groom. Arrangements are to be made at least six months in advance. For reception of the Sacrament of the Anointing of the sick please call the parish office (203) 888-2382 or email the Parish Office. * If you or a loved one are in the hospital please notify the parish office when there is the need for a pastoral visit.